The industries that generate visual culture today are increasingly sophisticated and comprehensive, making the artist’s role often shift from creator of new content to editor of existing material. In the exhibition Modify, as needed, on view at the Museum of Contemporary Art, North Miami from September 22 through November 13, 2011, 11 international artists playfully explore conventions in the construction and dissemination of products within the fields of art, film, media, fashion, architecture, and other realms, forming subtle and nuanced interventions that examine the multitude of possibilities in our experience of culture. The exhibition, which is part of the Museum of Contemporary Art’s Knight Exhibition Series, will feature works by Kathryn Andrews, Darren Bader, Nina Beier, Karl Holmqvist, Adriana Lara, Natalia Ibáñez Lario, Jose Carlos Martinat, Amilcar Packer, Nicolás Paris, Nick Relph, and Anders Smebye. Modify, as needed is organized by the Museum of Contemporary Art, North Miami and is curated by MOCA Associate Curator Ruba Katrib. Most of the artists are creating new works specifically for the exhibition. Danish artist Nina Beier will create a sculptural installation that incorporates posters that reference Swiss “object posters” of the 1930s, which were some of the first advertisements that featured images without text. Beier will drape the posters on common objects such as lawn chairs and radiators. Brazilian artist Amilcar Packer is using found materials to create a fence in an empty lot in Miami and conduct small happenings inside the space. The process of creating the fence and the events around it will be documented and shown as a video in the exhibition. Norwegian artist Anders Smebye is creating an installation of improvised weights made of concrete and found material inspired by the use of similar objects in Brazil from do-it-yourself outdoor gyms. Peruvian artist Jose Carlos Martinat is peeling a wall in the exhibition space using a technique that he developed to remove and preserve graffiti from public walls. Additionally, other surfaces in the exhibition space will be treated by other artists in the exhibition. While each artist has a distinct approach to their practice, the divisions between many of their works will be blurred, disrupting notions of authorship and highlighting the often related content of their work. 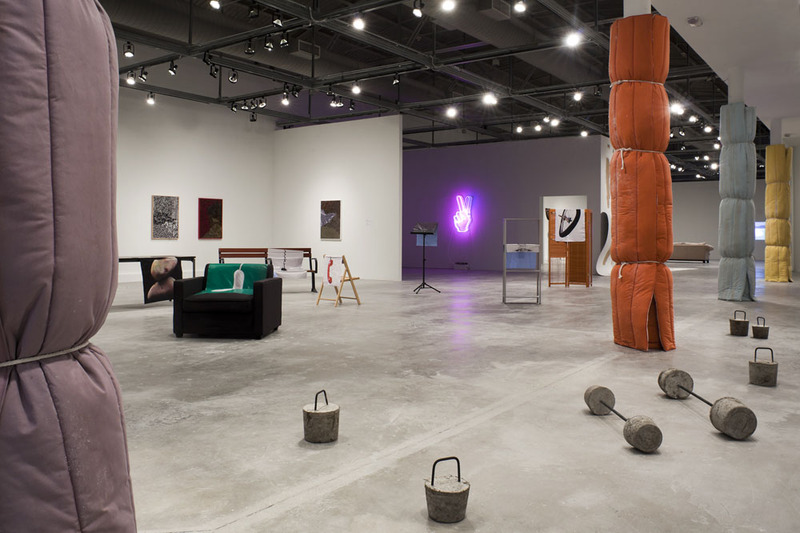 Organized by the Museum of Contemporary Art, North Miami and curated by MOCA Associate Curator Ruba Katrib. Modify, As Needed is partially inspired by research conducted for New Methods, an international symposium organized and presented by MOCA, North Miami in May 2011 that highlighted the practices of alternative art spaces in Latin America. The symposium was organized by MOCA Associate Curator Ruba Katrib and resulted in increased collaboration between the organizations involved. Modify, as needed is made possible by the MOCA Knight Exhibition Endowment. Additional support provided by Funding Arts Network and Office of Contemporary Art Norway.